That doesn’t mean that all of those upcoming projects are on hold, but don’t be surprised if you have to wait, say, more than a year between them, at least for awhile. The far-ranging interview was part of the magazine’s annual THR 100 feature, which ranks the most powerful people in Hollywood, and Iger, sitting atop the rankings, touches on a variety of topics throughout, albeit with the caginess typical of a CEO. 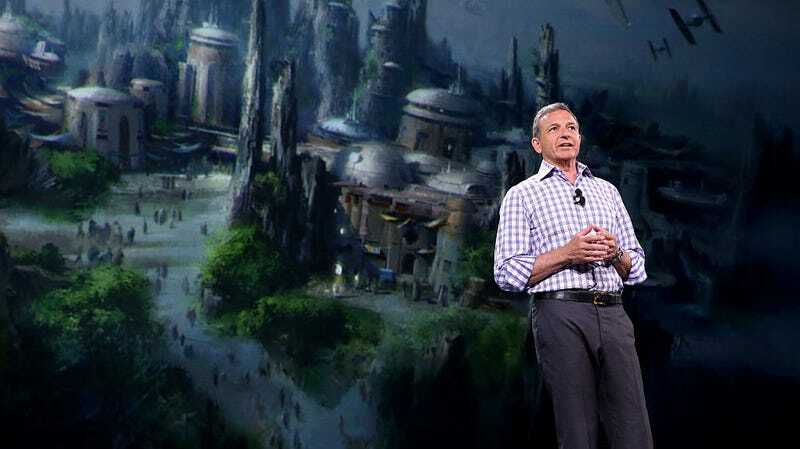 He characterizes Disney’s upcoming streaming service as “a quality play” in comparison to Netflix’s “volume play,” which is to say he doesn’t plan to pump out hundreds of original series for the platform. He holds the company line on firing Roseanne (good call) and James Gunn (bad call). And, while it’s not exactly earth-shattering news, he drops some hints on the future of the X-Men franchise, now that it’s been absorbed by Disney via their acquisition of 21st Century Fox. How is Marvel going to absorb Fox’s X-Men franchise? Is Kevin Feige going to oversee everything? So Deadpool could become an Avenger? Folks, Kevin’s got ideas. You can read the rest of the interview here.